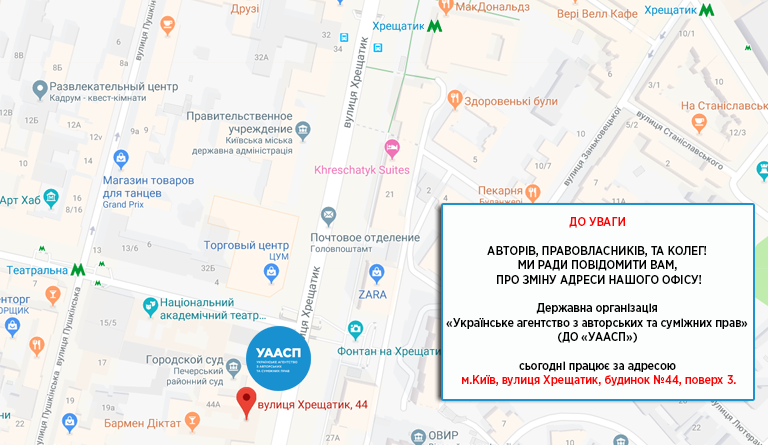 State Organization Ukrainian Agency for Copyright and Related Rights (SO «UACRR») address: Ukraine, Kyiv, 01001, Khreshchatyk Street, No. 44, floor No 3. We took care about the convenience of visiting our new office, which has now become even closer to You. 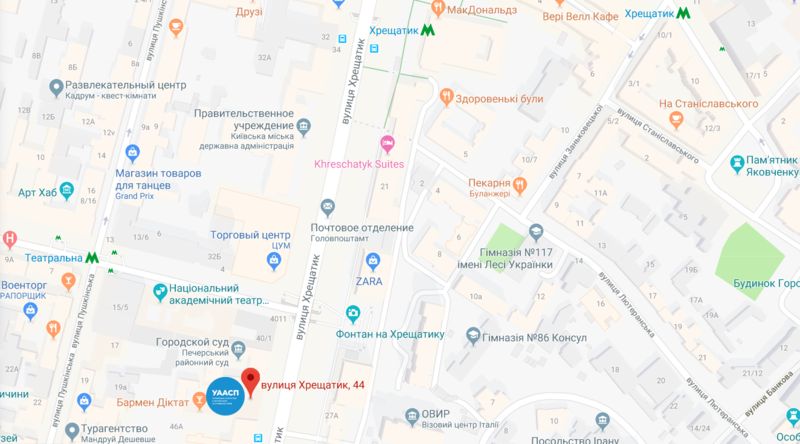 Nearest subway (metro) stations: Khreshchatyk – 5 minutes, Teatralna – 5 minutes. The nearest paid car parking for 180 cars is located under the building of shopping center TsUM (50 m).